Most writers dream of bringing their work to life on the big screen. For novelist and short story writer, David Niall Wilson, that dream is finally a reality. 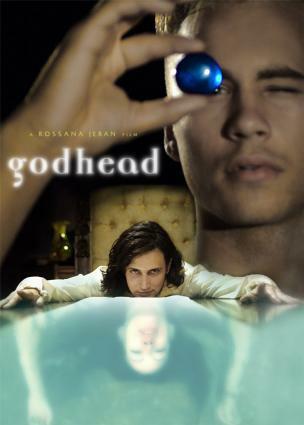 Wilson, the author of several fantasy and horror novels, collaborated with filmmaker Rossana Jeran on the spiritual fantasy movie, Godhead. Both Wilson and Jeran took time out of their very busy schedules to discuss novel writing, screenwriting, and movie making with LoveToKnow Movies. LTK: Tell us about your background. DW: I started out writing short fiction and poetry. Somewhere in the late 1990s I began writing novels, and since then I've been balancing my career between short and long fiction, trying to find the perfect niche. I have a dozen or so published novels now, a collection of short fiction due from Sarob Press in 2007, and I've been branching out into screenwriting for TV and for movies. LTK: You've had much success with short stories and novels. How is that different from screenwriting? DW: It's a matter of how you envision your story. In short stories and novels you have to paint the background and bring the characters to life. In a script, you give the dialogue, and you sketch in the broader picture, but the director, actors and actresses fill in the details. It's collaboration between the writer and all the other creative voices involved that brings the script to life on the screen. As a writer, sometimes it's difficult to relinquish the control you have to in order to allow the words to be controlled and manipulated by others, but it's essential. I like prose and screenwriting. Sometimes I need the full control I have with a novel, or a short story. There are stories I don't want to share, or to see evolving under the creative input of others. Sometimes, once I have that story in print, I feel differently. There are novels I've written that I'd like to see brought to the big screen, or even to television, and I find that once my own vision is solidly in place with the printing of the book, or story, it's easier to let someone else in on the furthering of that story on the screen. LTK: Where do you get your ideas for your stories? DW: I wait until very late at night. When I'm sure that Stephen King is asleep, I dissolve into mist and slip in through his left ear... Seriously? I live my ideas. They come from all around me, what I read, what I see, and conversations with others. There is no single source for ideas, and it's a good thing because if you have a single source of anything it can be cut off, or run dry. LTK: What is Godhead about? DW: Godhead is the story of Zero and Magus, boyhood friends who, now as young men, find access to another dimension through a small glass sphere called a dragon tear. Taking turns "through the tear" they encounter a beguiling woman named Eave. One at a time, over and over again, they transport themselves, involving themselves deeper and deeper with Eave. As the story unfolds, their friendship is tested through jealousy and betrayal. LTK: The term Godhead generally has religious connotations. Does the movie have a religious undertone? DW: Godhead thematically explores psychological, metaphysical, and spiritual worlds, but with a grittiness and an edge that's a far cry from stereotypical new age images. Godhead explores a spiritual journey examining the soul's light to dark spectrum. Many different images from many different religions can be seen in the movie, but they're used to show that all religions aspire to the same thing, essentially. Call it God, enlightenment or divinity. LTK: Godhead started as Rossana Jeran's idea-- how did you come to write the script? DW: A friend of mine, Rain Graves, who is a poet and artist in her own right, saw an ad in an SF newspaper looking for a screenwriter. She pointed it out to me specifically because it not only wanted someone with screenwriting experience, but someone familiar with alchemy. Believe me when I tell you this isn't a standard skill set. LTK: Where can people see Godhead? Are there plans for a national release? DW: We're working on distribution options now. Currently the movie has been viewed only once, in Kansas City at the Kansas City Filmmakers Jubilee. The theater was packed, but as far as I know there have been no reviews, so everything - currently - is waiting on the hope of securing a distribution deal. LTK: Is it easy to sell a script once you've already been published? DW: No. Godhead was an independent film, and part of the reason I "sold" myself as the screenwriter was that I was willing to work mostly on spec, and for not much money. I have a dozen novels sold and over 130 short stories and have been at this for nearly two decades, and it is only marginally more likely that I will sell a script. First you have to write a script - better to say you need to write a bunch of them. Then you need to get them into circulation by any means available to you and hope. There are a lot more scripts written than movies produced, and since the financial stakes on the part of the producers of any film are high, it's a rough business to break into. LTK: What advice would you offer aspiring screenwriters? DW: Write. Don't write one script and spend five years trying to get someone to make a movie out of it. Write a script, and then write another and another and another. Take advice when it seems good. Don't revise and revise and revise for someone who hasn't offered you either money, or the proof they know what they are doing in a long resume of film credits. Don't lose hope. Don't quit your day job until you have the first half a million in the bank. Did I mention write? LTK: How does an idea go from script to finished product? DW: Keep in mind, Godhead is an independent film. Rossana did all the work that a larger studio might farm out. RJ: Stage 1 is Development. This stage consists of breaking down the script into scenes and locations so you can begin to assess the budget. Then finding the money or a co-production opportunity... this includes packaging the script with talent, director/producer and a cast. Stage 2 is Pre-production. After finding the money, and cast and top crew members are secured, we enter pre-production. Location scouting, permits, crewing up. Breakdown of script easily converts to making shot lists and assessing shooting schedules. Stage 3 is Production. Shoot, shoot, shoot. Stage 4 is Post production. Editing, visual effects, soundtracks, and audio mixing. Stage 5 is Distribution. Film festivals and queries to distributors. LTK: David, how involved were you in the making of the film? DW: Rossana and I worked together on the script. We went back and forth on it when it was first written, and when it needed specific work or revision later on, she either sent it to me, or we did the work over the phone. When they filmed, she would send me bits and pieces - cast photos - etc. LTK: David, how did it feel to finally see your script come to life? DW: It was very cool to see it actually "acted out." There were places where I'd stop it and say "HEY! I wrote that! " There's a sort of detached terror involved, because it is never exactly as you saw it in your head - and in this case, even less so because I wasn't involved in bringing it to life. There were places I would have done it absolutely differently, but I'm not a director, so I don't know if my ideas would be better, ridiculous, or a disaster. I think, in the end, it must be very similar to when you design something like a car with some new feature and -- after all the other people involved have refined it and brought it to the road -- you stand and watch, hoping the wheels don't fall off. LTK: What are you working on now? DW: I'm working on the last few installments of a serialized novel being offered in the Amazon.com "Shorts" program - downloadable short fiction at .49 a pop. My novel, "The Orffyreus Wheel," will probably end up about ten parts long. It's a historical / contemporary thriller, splitting chapters between the life of an inventor in the 1700s and the life of the heir to his secret in modern times. I'm promoting my novel "The Mote in Andrea's Eye," released on June 2, 2006, which is the story of a young woman who lost her father in a hurricane in the 1940s, grew up to become a hurricane expert and fighter, only to send a storm raging out of control straight at the US coast. Then it disappeared off the coast of Bermuda - along with her husband who was flying above it. 30 years later, just as she has discovered a new way to combat hurricanes, hers comes back and she has one desperate shot at fixing the damage she caused. It's gotten great reviews. I'm also doing a non-fiction book about the band Mind Garage, a group from the 1960s psych scene titled "A Funny Thing Happened on the Way to Woodstock." I'm busy, in other words. LTK: Do you have plans for any future collaboration w/ Rossana? DW: We have talked about it. She loves a novelette I wrote, "The Milk of Paradise," and she is also looking through my novel "The Temptation of Blood," both of which would fit the surreal moody spirit of Rossana's films. I really believe we'll work together again - and probably soon. LTK: Would you like to see any of your existing works become movies? DW: "The Mote in Andrea's Eye" would be very cinematic (as noted by some of the reviewers). "This is My Blood" could be a great cult film, and I'm hoping to get a chance to pitch my novel "Deep Blue" as a dramatic series to HBO or Showtime. I'd like to see all of my existing works that are long enough to support feature length make it as movies. I'd like to see what a director might find in them that I didn't see. LTK: Do you have aspirations for any future screenwriting projects? DW: I'm working on several scripts now, am considering scripting "The Milk of Paradise" or "This is My Blood" for Rossana to look over, have a children's movie script I wrote with the love of my life, Patricia Lee Macomber that I'd dearly love to see brought to the screen, and a dozen other ideas brewing. Watch a trailer at Youtube. Blurgirl offers information about Rossana Jeran's production company and her other projects. The Deep Blue Journal is David Wilson's online journal and includes blog entries, interviews, and more.